Escape to your own private country estate, or so it will seem, in the quiet wing where our guest rooms and suites nest. Each of the 58 rooms offer the simple luxuries and warm comforts expected at a AAA Four-Diamond award-winning resort. 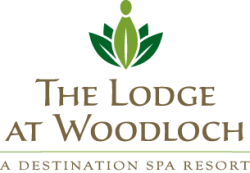 The Lodge at Woodloch embraces a philosophy of personal awakening. As so many individuals get swept up in the whirlwind of life, The Lodge at Woodloch gives you an opportunity to shift from your everyday routine and re-focus on yourself and each other. You are able to reconnect to creative and stress-relieving outlets that will continue to benefit you long after you leave.